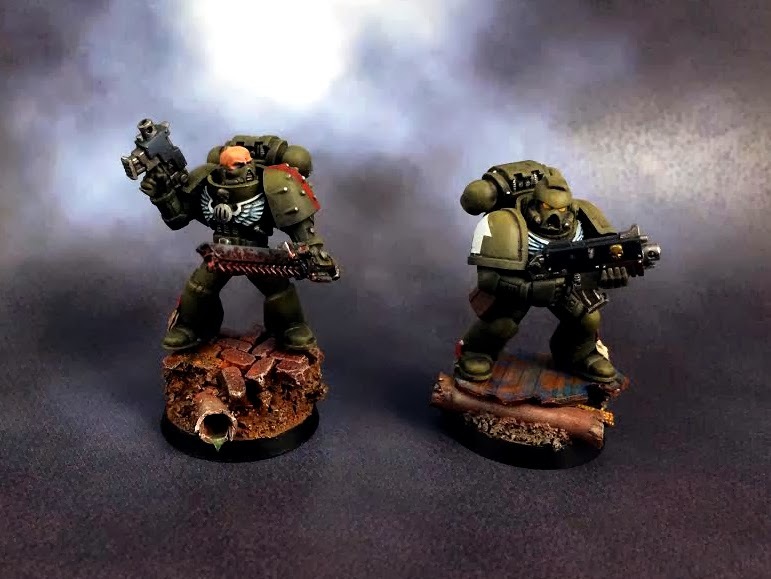 Here are a few Raptors marines that I painted up. 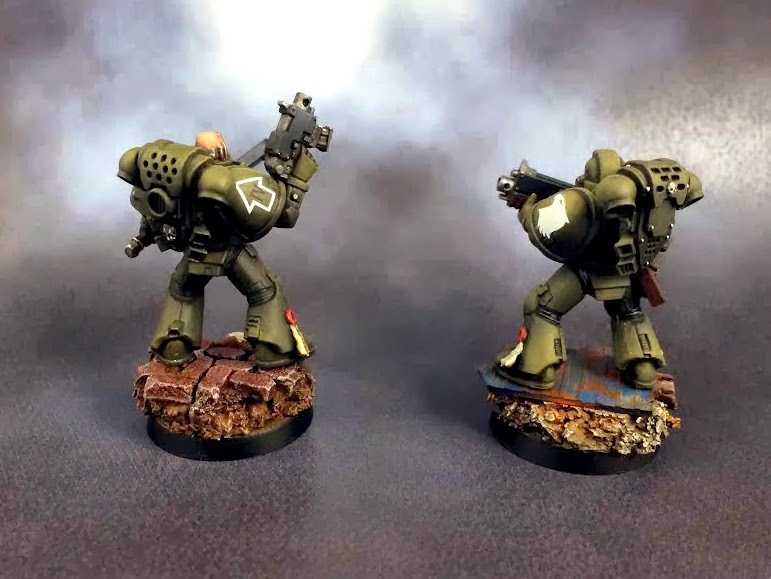 They were primed black with Vallejo Surface Primer and I then used Reaper Master Series Olive Shadow, Olive Drab, and Worn Olive for for the base color, highlight, and second highlight respectfully. I tried to get a little creative with the urban battlefield basing and I think I succeeded.